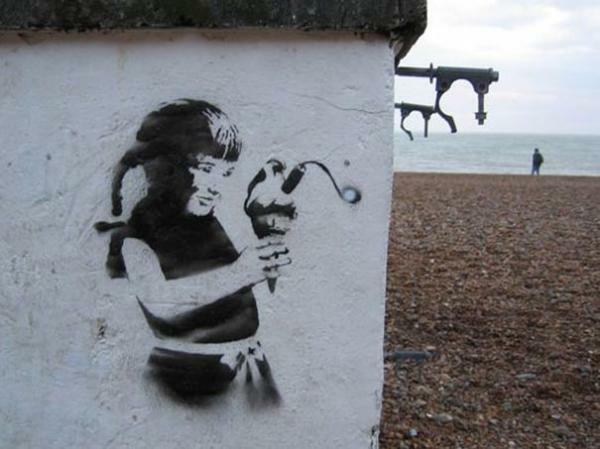 Banksy is not only a street artist. He is a visual activist, a fighter for human rights, a director. He is an institution, while his true identity remains unknown. 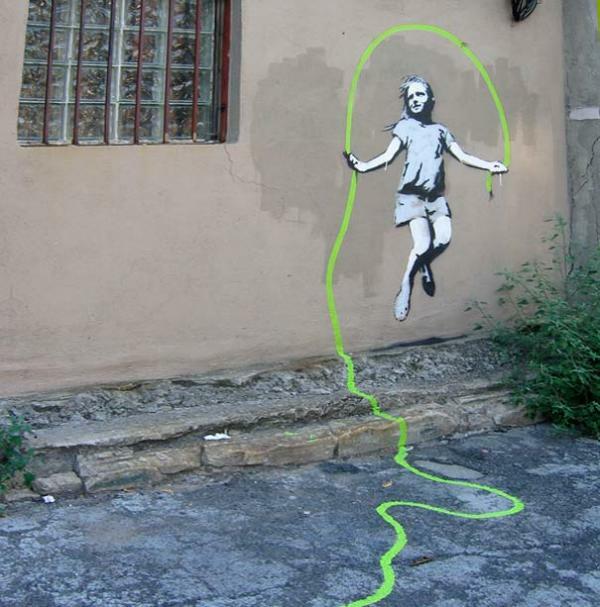 His clever visual puns are today the key ingredient of the graffiti art scene, while stirring up a lot of controversy. They stand for the truth, freedom and equality, but they are sold as one of the most coveted commodities on the art market. 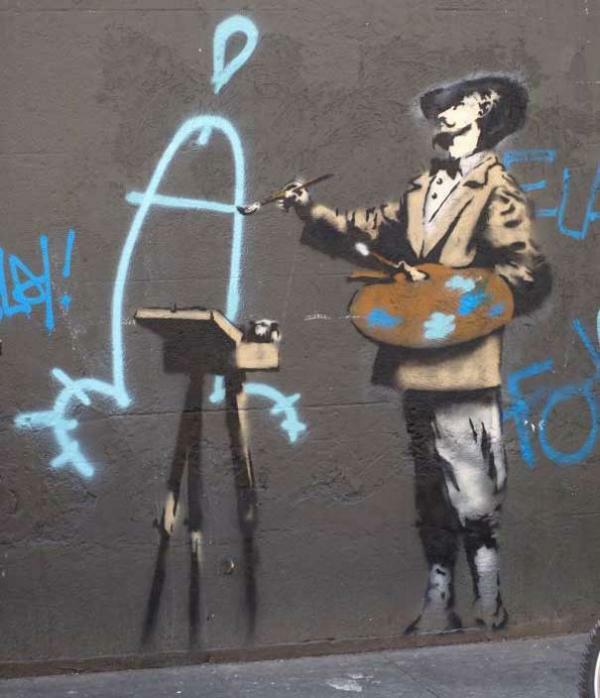 The discussion on whether Banksy is a vandal or not is still on, but his art has definitely made the pages of art history. 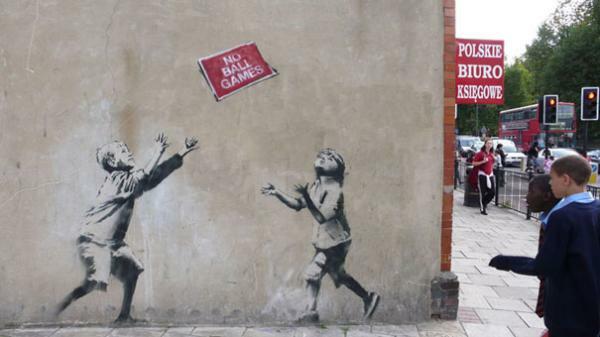 Banksy originally comes from Bristol, the town with one of the most interesting underground culture scenes. He began as a graffiti writer, but soon switched to stencils, because this technique was much quicker and it allowed creative freedom planned in advance. 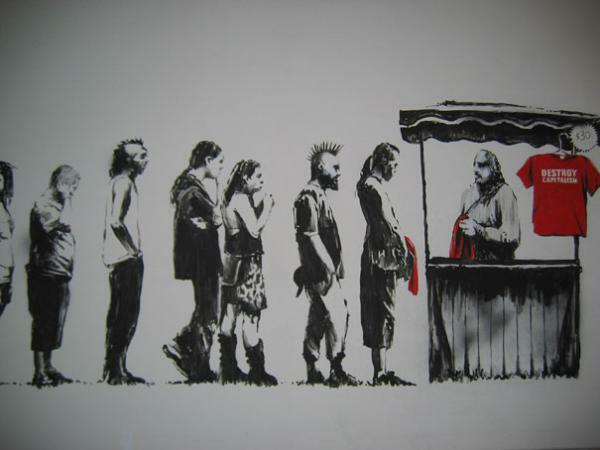 From there, Banksy developed his recognizable style.